Just when it looked like the 2019 250 Eastern Regional Supercross Championship was a forgone conclusion, Nashville happened. Austin Forkner, who had topped all the eastern riders in every previous round, crashed in practice and injured his knee. He tried to return to the next practice session, but that apparently made things worse. He had exactly one race in the bank with his 26 point lead, so the pressure was on second place Chase Sexton. In the end, Sexton was second at Nashville behind Forkner’s teammate Martin Davalos, so now he lacks three points with two rounds remaining. 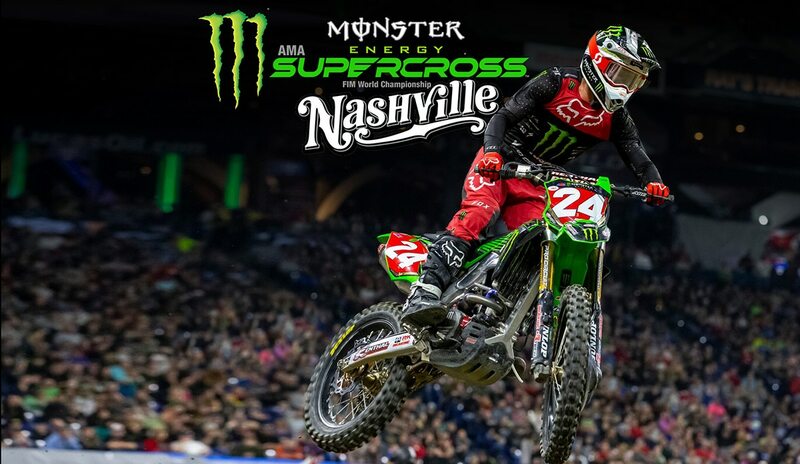 For race coverage of the 2019 Nashville Supercross, click here.